When your pet needs care, we’re here to help. 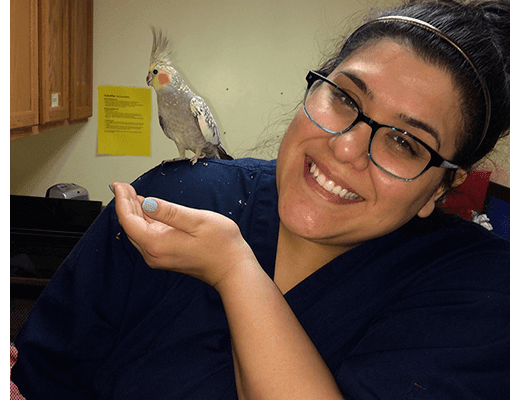 Midwest Bird & Exotic Animal Hospital is staffed by a team of nurturing professionals, committed to the health and wellness of animals in Elmwood Park. We are dedicated providers of wellness care, preventative medicine, internal medicine, and more. Bri joined the Midwest family this year! She has a passion for ER medicine, team development, as well as patient & owner bonds. Bri has been in the veterinary field for 5 years and carries with her 10+ years of retail and veterinary management. She is working in her dream career and is elated that she can marry her experience in management with her love for animals. When she isn’t working with her team at Midwest, she can be found camping, reading, refinishing furniture, gardening, riding her bike, or on the motorcycle with her boyfriend Greg. She currently shares a home with Greg, their two cats Sebastian and Zeppelin, and their newest family member is a bearded dragon named Mayhem. Colleen has been with Midwest since August of 2016. Colleen says that working at a veterinary office was organic as she’s been rescuing seniors and special needs animals (and retired racing greyhounds) her entire life. She has always been fond of exotics since she was little! 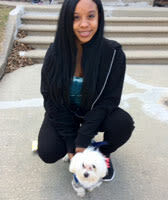 She loves the diversity of animals we see here at Midwest and building great client/pet relationships. Colleen enjoys spending time with her dog Vivvy, birds, guinea pigs, and her cat! Janine loves being in veterinary medicine because it gives her the ability to help a life that doesn’t have a voice or choice of their own. 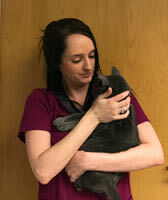 She has been in the veterinary field for over 12 years and loves being able to see the happiness our hospital team can bring to our clients when we are able to help their furry family member. She has a seven month old kitten named Penny that she found roaming in the snow and shortly after adopted, giving her a nice warm and happy home. Penny enjoys being spoiled by Janine and her boyfriend Matt. 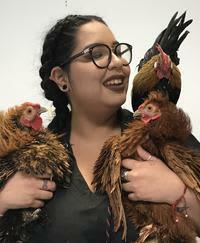 Janine loves working at Midwest Bird because she considers everyone here to be her family! 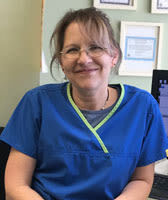 Jenny has been a veterinary receptionist for 15 years! She loves being able to help owners take care of their pets; helping educate them on the best care for their pets and being there for them through difficult times when their pets are sick. When Jenny isn’t working at Midwest, she enjoys going camping, to concerts, and trying new restaurants with her daughter Sam and husband Rick. They have a family dog named Charlie that they rescued. Pets: A rubenesque gray girl cat named Frieda and a tiny gray squinty eyed boy cat named Gilbert. 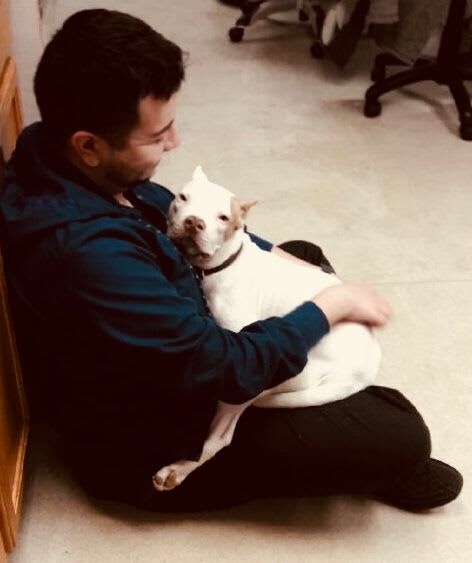 Favorite part of job: Building relationships with clients and their animals, and helping them through both sad and happy times with compassion. Interests: Choral music, reading, gazing out at large bodies of water, cuddling with cats, and dining al fresco. Lucy has been with Midwest since September of 2016. Lucy’s favorite thing about working at Midwest is all of the animals she gets to see and helping the ones in need. Lucy began working in the veterinary industry because she loves animals so much! Lucy works with Joy at our community outreach program, educating kids about animals and why it’s important to take care of them! When she isn’t at work Lucy enjoys painting, reading, watching movies and adding to her tattoo collection. She has her own personal zoo at home with all variety of animals from hedgehogs, macaws, dogs, reptiles, and last but not least cats! Jose is originally from Northlake and graduated with a BA in Biology, he’s been with Midwest Bird & Exotic since August of 2017. 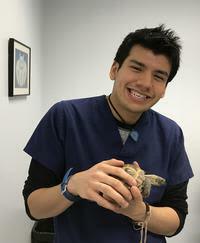 Jose has a strong interest in exotics vet medicine as it’s a rapidly growing field and allows him to see many interesting species! He also enjoys working in our emergency department because it requires him to think critically and respond well under pressure. 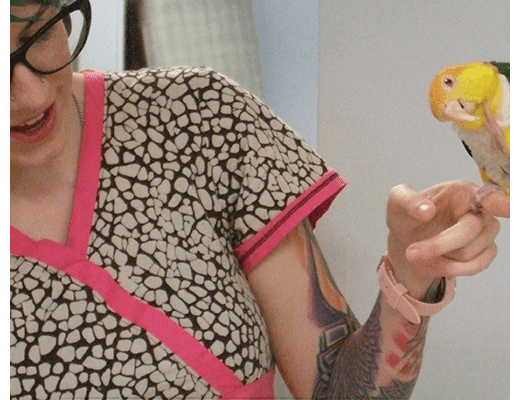 He recently adopted a Sun Conure named Riri and brings him to the clinic often to visit! I chose to work in veterinary medicine as I have always had a deep love for animals. I wanted to be able to be an advocate for them and help them in any way I could. 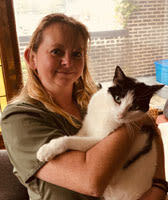 The part of my job that most feeds me is that we are able to help animals and their people whether it be a serious emergency or just better educating owners so that their pets can be appropriately cared for and given the best life possible. My husband, Ian, and I love to take walks in forest reserves with our son, Kaleb. I also like to watch shows about animals and nature. We share our home with 3 cats, Sophia, Dusty, and Smunchkin. They each have their own personality! Sophia loves to climb and hang out in high areas. Dusty is sweet but shy. Smunchkin is playful and mischievous. They all get along great! I went to Good Counsel High School, and started working in veterinary medicine right after graduation. I love to laugh and bring happiness to those around me through laughter. Training & Education: Worked with dog and cats (some exotic) 6 yrs, CE in hospital manage, CE vet tech, customer service. Favorite Part of the Job: There are so many things I love about this place. Its hard to just pick one thing.Best part is being able to work with all the different animals and people who love them just as much as me. Your Pets: I have the BEST dog in the world. His name is Sir Money Mike. I love him more than anything in the world. He will be 2yrs old on march the 29th. We enjoy long walks at the park during spring and hang out on the beach during summer. He is my best friend in the whole world. Ivan has been in the veterinary profession for nearly 4 years. 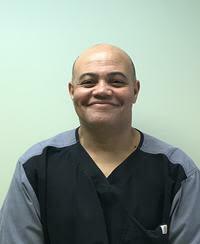 Ivan is a Certified Veterinary Assistant from Sanford Brown College. Ivan began working at Midwest Bird in 2016 to pursue his dream career of being able to work with a variety of different animals which he finds very exciting. Ivan has a Russian tortoise named Rocky who likes to make scratching noises, as well as two pits, Chloe Wowe and Tails with No Ears, that love to lick anyone's face. In Ivan’s spare time he enjoys taking out his tortoise to bask in the sun, play video games, household chores, enjoying nature, and playing with his dogs. 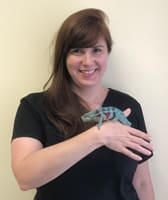 Allison has been with Midwest Bird and Exotic since 2015. 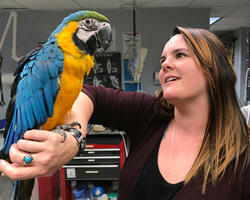 She came to Midwest with a passion for Avian and Exotic animal medicine. When Allison was little she could often be found outside exploring and catching frogs, toads, or anything wild that was an animal and needed to be saved. 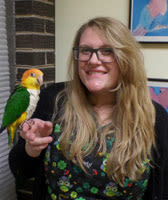 Allison has a White-Bellied Caique named Dublin that she often brings to come hang out with us in the hospital! Mo has been with Midwest Exotic for 30 years and has close relationships with many of our clients and pets here at Midwest. Mo loves sports, in particular the Green Bay Packers. Mo’s favorite animals are cockatoos and cockatiels! Becca attended Western Illinois University and graduated in 2009 with a Bachelor’s in law enforcement and justice administration with minors is Psychology, Biology, Fire Sciences and earned her EMT license while in Macomb. She also earned her Dog Training License from the Animal Behavior College in 2009. 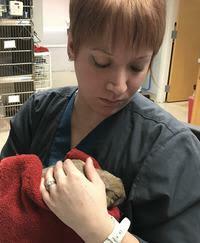 Though she maintains a full time job in a different field, she has remained a steady employee with Midwest Animal Emergency since 2007. Her true passion is animal care and she has been working in the field of animal welfare for over 20 years. Having 4 dogs – an English mastiff, pit bull and 2 terrier mixes, 2 cats, a rabbit, and many fish of her own, her love for animals shows at home as well as in her career. Outside of her animal family, Becca is married and has 2 adopted human children at home. Having previously worked in the parasitology field, Becca has a special interest in anything you can explore on a microscope, she is always looking forward to learning new things about the microscopic veterinary needs. Becca is a member of the I.P.C.S.A. and teaches EMT classes with her local fire department part of the year. She enjoys sharing her array of knowledge with other employees as well as clients to try and expand daily skills and animal care abilities. Patty’s animal infatuation started before she could remember. Her parents encouraged everything from catching of bugs and toads in the yard, to walking the family rabbit on a leash down the block. As an adult, her interest continues and evolves to more than just simply owning pets but into how to care for them medically and helping them live a long and happy life. 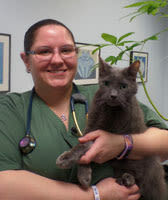 Her veterinary career started in 1998,in a small dog and cat clinic, where she answered phones and cleaned exam rooms. From there she was hooked and kept progressing to bigger clinics who would teach her everything she knows today. When she was hired at Midwest in 2007, she was hooked. Her obsession for animals wasn't just for the common dog and cat for pets, it was for all animals. At Midwest Patty was exposed to all animals. She finally found a clientele of people who didn't see it as "just a hamster" but an animal that was worth helping. Each day there was something new to learn and something different to see, and that holds true still after many years of being here. Patty and her 20 year old daughter share their house with 6 cats, 3 rabbits, 1 dog, a box turtle, a ball python, and 4 small birds. Almost all of them are rescues with their own stories. She is also a foster home for Bunnies United Network, a local Chicago rabbit rescue. Although rabbits are her favorite, she has fostered many animals and found them loving homes. When Patty is not caring for animals, she enjoys hiking, live music,movies, cooking, and time with her family.